At Level Ten Consulting Group, our litigation support specialists have extensive experience in providing expert witness testimony in connection with commercial litigation. As an objective, credible, and independent source, our firm provides extensive litigation support services based on the factual presentation of economic issues related to existing or pending litigation. We work collaboratively with legal counsel, combining our knowledge and experience with their legal expertise to develop the best strategy to accomplish the objective. We restrict our participation in this area to those subjects for which our expertise is substantial, thereby maximizing the opportunity for success for the party we represent. From shareholder disputes and contract breaches to bankruptcy proceedings, we are able to express complex financial issues in a clear and succinct manner, quantify damages sustained by parties involved in the legal dispute, and assist in resolving them. 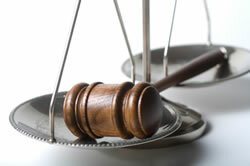 In many cases our professionals are asked to provide expert testimony. Our professionals are highly regarded as expert witnesses for their experience, subject knowledge, and clear and concise presentation of material. We are skilled communicators with years of experience testifying before judges, juries, and arbitrators on a variety of complex commercial litigation matters. Jeff Gillesse has been accepted into the prestigious Thomson Reuters Westlaw Roundtable Group of qualified expert witnesses.